Bing Crosby quits his NYC singing/dancing team with Fred Astaire (eight years after The Gay Divorcee, his head and hands still cartoonishly large) and moves to Connecticut (another CT christmas movie) to open the Holiday Inn, where he can goof off 350 days a year, and put on spectacular shows for each holiday with a custom-written song (incl. 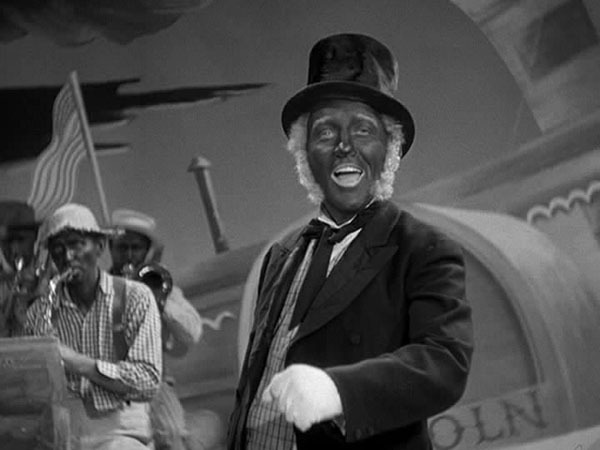 White Christmas, Easter Parade). When the girl (Charlotte NC native Virginia Dale) whom Fred stole from Bing leaves town to marry a millionaire instead, Fred invites himself to the Inn and tries to steal Bing’s new girl Marjorie Reynolds (later in Lang’s Ministry of Fear). Lots of singing and dancing ensues, Fred gets the girl and takes her off to Hollywood to make a film about the Holiday Inn (featuring the inn sets we’ve already seen, but with all the lighting now visible – it’s the most meta movie of 1942!). A few holidays later, Bing builds up the guts to ride down there and steal her back – plus V. Dale shows up again, so now everybody’s got a pretty girl, and happy holidays and remember to buy war bonds. The movie obviously won best song for the bestselling single of all time White Christmas, but lost a writing award to 49th Parallel. 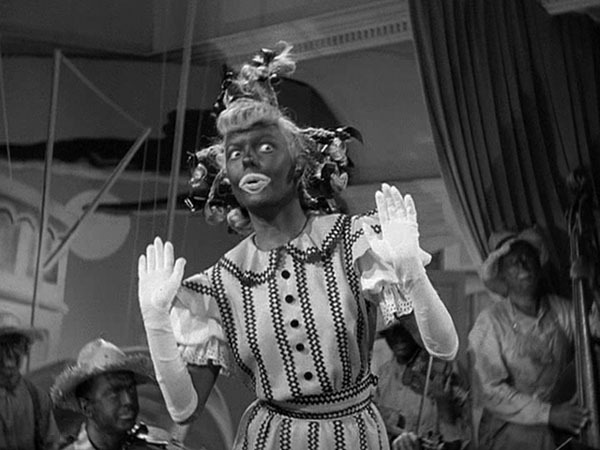 Irving Berlin would return with Easter Parade in ’48, and White Christmas (which I didn’t like as much as Holiday Inn) in ’54. Sandrich would die four years later in the middle of filming another Berlin/Astaire/Crosby musical, Blue Skies. 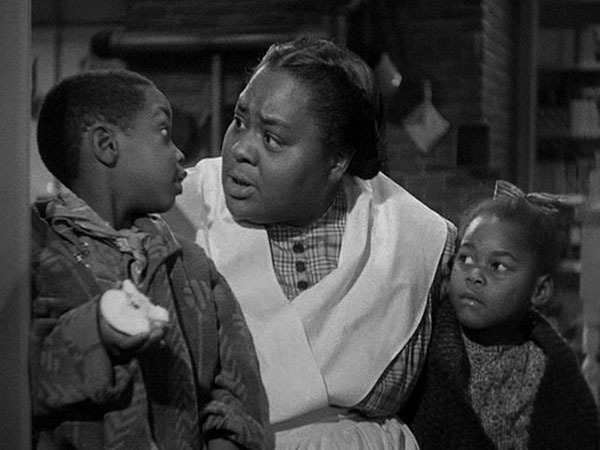 Actual black person Louise Beavers appeared in Freaks a decade earlier, and would become one of the first black sitcom stars a decade later.